Your circadian rhythm is basically a 24-hour internal time clock. And while you probably associate it with your body’s sleep/wake cycle, it has a significant impact on all sorts of body processes. It regulates your blood pressure, heart rate, hormone levels and body temperature. It sets the pace for metabolic processes. It’s also what causes you to feel more alert at certain times of the day, and tired at others. Your circadian rhythm can have an effect on your mental health as well. 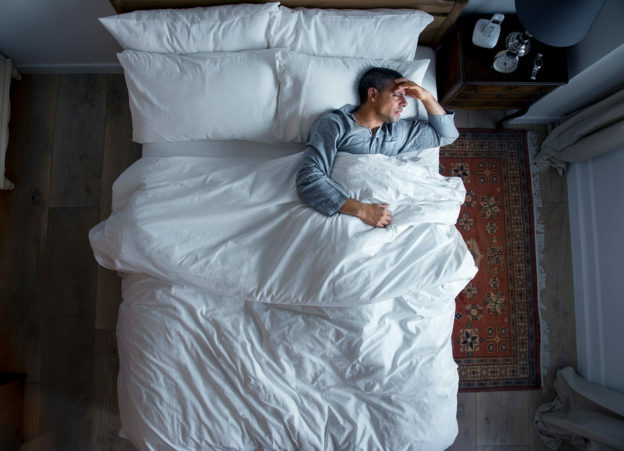 When you experience disturbed circadian patterns – such as irregular patterns of rest and activity – it places you at a greater risk of depression, bipolar disorder and mood instability. A disturbance in rest-activity patterns also makes you more prone to loneliness and increases levels of unhappiness. It can even result in slower reaction times. So yes. It’s time to give some serious thought to your circadian rhythm. It matters… a lot! One of the best things you can do to restore a healthy circadian rhythm is to develop some hard and fast habits. Set up a consistent daily routine. Set your alarm to wake up at the same time each day. Eat your meals at the same time… exercise at the same time… and go to sleep at the same time. The more consistency you can establish, the more adept your body will become in responding to it. It may take a few changes to make all of this happen, but you can do it. Seek light when you wake up in the morning. Your body is meant to be active during daylight hours, and to rest and restore itself during the night. So when you wake up in the morning, expose yourself to sunlight as soon as possible. Open the blinds and curtains. Sit outside while you sip on your tea or coffee. Enjoy breakfast on the patio. The sooner you seek light each day, the more effect it will have on your natural rhythm. Place more focus on your eating patterns. Most folks skimp on breakfast, give only slightly more thought to lunch, then chow down at dinner time. This is just the opposite of what your body needs. You don’t have to change the foods you eat. You just need to put them in their proper place. Eat breakfast like a king, lunch like a prince and dinner like a pauper. This is guaranteed to prime your internal body rhythm for the energetic demands of the day ahead of you… and help wind it down as night falls. Just make sure to eat your last meal of the day by 6 or 7 p.m.
Get your energetic activities out of the way during the day. Muscles have their own circadian rhythm, and data suggests that the best time for physical activity and exercise is during the daylight hours. Research is mixed on whether morning or afternoon exercise has the greatest influence on your body clock. However, if you participate in regular training at the same time each day it will have a positive influence on your circadian rhythm. I also recommend taking a look at your cortisol levels. This is a hormone that is released in response to any stress you encounter on a day-to-day basis. And these days, stress levels seem to be higher than ever. Well, cortisol is secreted in a daily rhythm under the influence of your circadian clock. It peaks in the morning, and then drops consistently throughout the day. Cortisol reaches its lowest point late in the evening… about the time you’re ready to go to sleep. But if you are stressed or feeling burnt out, this rise and drop doesn’t work properly. During the day, cortisol levels don’t decline as much as they should. As a result, you may experience energy boosts in the afternoon and evening that prevent you from getting to sleep on time. Of course, all this does is disrupt your internal body clock even further. An adaptogenic herb called ashwagandha may be able to help with this. It can naturally keep energized throughout the day while helping you sleep better at night. Additionally, ashwagandha reduces stress and anxiety levels that may be affecting your cortisol levels. As an added benefit, this herb also appears to have a powerful effect on reducing depressive symptoms. Eckel-Mahan K, et al. Metabolism and the Circadian Clock Converge. Physiol Rev. 2013 Jan; 93(1): 107–135. Lyall, Laura M et al. Association of disrupted circadian rhythmicity with mood disorders, subjective wellbeing, and cognitive function: a cross-sectional study of 91 105 participants from the UK Biobank. The Lancet Psychiatry. 2018. Published online first. Peek CB, et al. Circadian Clock Interaction with HIF1α Mediates Oxygenic Metabolism and Anaerobic Glycolysis in Skeletal Muscle. Cell Metab. 2017 Jan 10;25(1):86-92. Chtourou H, et al. The effect of training at a specific time of day: a review. J Strength Cond Res. 2012 Jul;26(7):1984-2005. Can Living “Off Your Clock” Wreak Havoc on Your Health?